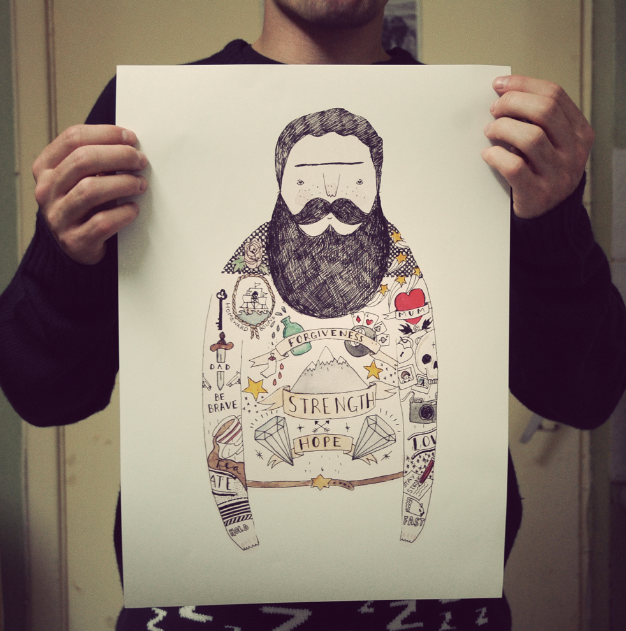 Finally I have my Large A3 prints in my Etsy shop, you can see the original illustration in the first photo, I was so excited to get them professionally printed when they were delivered through the door i jumped for joy, its the first time ever i’ve had my illustrations printed professionally. I hope you all like them. My mum and dad now have my set sail print hanging up in their bedroom, the illustration itself is one of my favourite things I have ever drawn. I don’t want to over load you with all my items for sale, but I have lots of new cards and christmas cards that are available. My recent illustrations have been inspired by my dad, and my love for detailed drawings and my massive passion for the sea, I have had quite a few emails about what i am inspired by I will be doing amore detailed post about this soon. Previous Post i’ve been away. Next Post who shall i see? 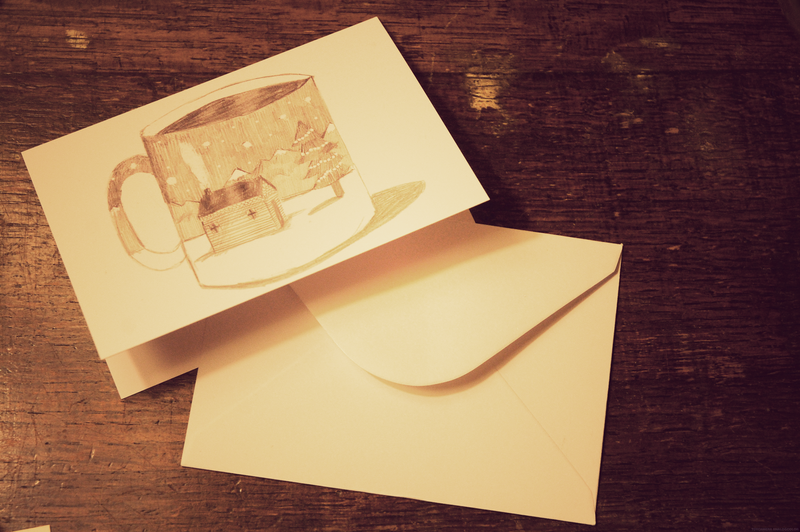 …Also your christmas cards are sooo cute! These are such gorgeous illustrations. Really amazing. Gorgeous! I love your art work. 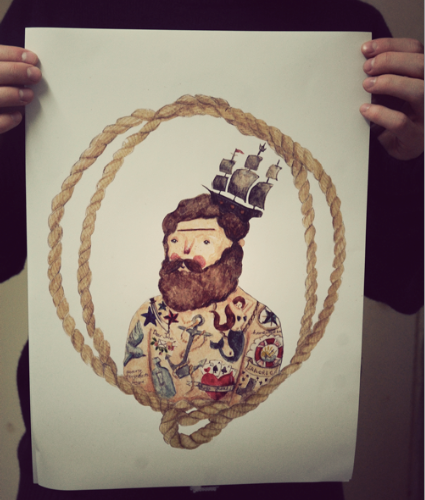 I need to get myself that Set sail print, may have to wait till the new year though. I love that card you made as well. Oh how you inspire me! You make me want to draw! 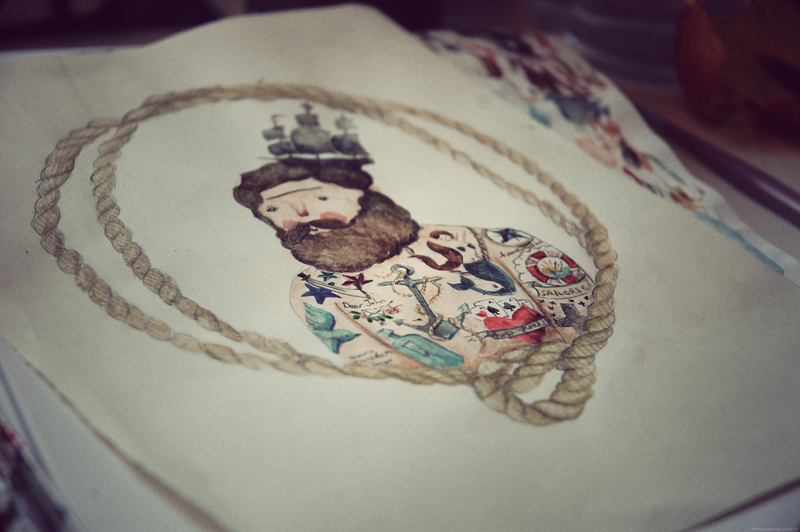 I love men with beard, I absolutely love all of your illustrations and I cant never get enough of sailor things so this is the perfect inspiration for me! Nice post and so artistic : you have talent!!! These are so great. I think it's safe to say that aesthetically your blog is my favourite by far!It's just so bloody lovely. Wow, they r all so amazing! The one with the rope is my favorite! They're great, I particularly like the nautical one!